Cain Curran Reserve: The road to, and parking at this site is good and can be accessed in a 2WD vehicle in any weather conditions. 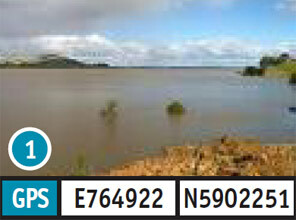 The concrete-gravel boat ramp can be accessed in a 2WD vehicle in all weather conditions. The bank slope is flat and access to the water is moderate. Facilities available are toilets, picnic tables and fireplace/BBQ. 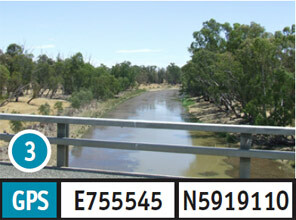 The turn off is located 24km south-west of Bendigo along the Calder Highway. Take Fogartys Gap Road for 12.7km, followed by Bendigo-Maldon road for 1.3km, Allens Road for 3km, Bridgewater-Maldon Road for 1.6km, Watersons Road for 7.5km, then an unnamed road for 800m. Frosts Crossing: The road to, and parking at this site is good and can be accessed in a 2WD vehicle in any weather conditions. The bank slope is flat and access to the water is moderate. A fireplace/BBQ is available. Camping is permitted. 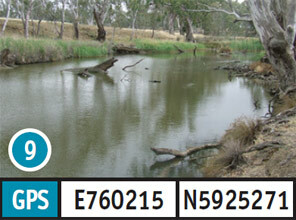 The turn off to this site is located 20.2km south-west of Bendigo along the Calder Highway. Take Hokins Road for 9km, followed by Almond Tree Road for 2km, Bradford Hills Road for 9.6km, Bridgewater-Maldon Road for 9.5km, Bishops Hill Road for 1.6km, Douglas Road for 3km, and Baringhup Eddington Road for 900m. Eddington: The road to, and parking at this site is good and can be accessed in a 2WD vehicle in any weather conditions. The concrete boat ramp should only be attempted in a 4WD vehicle. The bank slope is flat to moderate and access to the water is moderate. 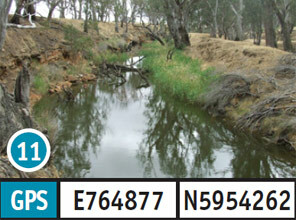 The turn off is located 6km south-west of Bendigo along the Calder Highway. Take the Bendigo-Maryborough Road for 33.0km, followed by the Weir Road for 1.4km, Tarngulla-Laanecoorie Road for 1.2km, Eddington-Laanecoorie Road for 2.5km, and an unnamed road for 700m. Laanecoorie Reservoir: The road to, and parking at this site is good and can be accessed in a 2WD vehicle in all weather conditions. 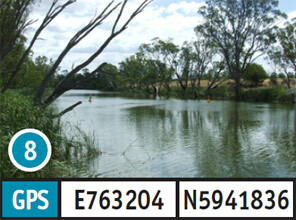 The gravel boat ramp is accessible by 4WD vehicle in all weather conditions. Toilets, picnic tables, fireplace/BBQ are available. Camping is permitted. 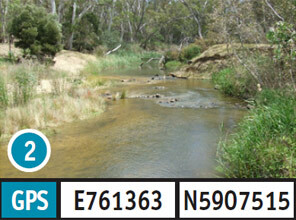 The turn off is located 6km south-west of Bendigo along the Calder Highway. 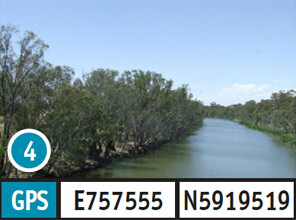 Take the Bendigo-Maryborough Road for 33.0km, followed by Weir Road for 1.4km, and an unnamed road for 150m. There also two other sites available at Laanecoorie Reservoir. Newbridge Recreational Reserve: The road to, and parking at this site is good and can be accessed in a 2WD vehicle in all weather conditions. The bank slope is flat to moderate and access to the water is moderate. Toilets are provided. Camping is permitted. The turn off is located 14.6km West of Bendigo along the Calder Highway. Take the Calder-Alternative Highway for 800m, followed by the Bendigo-St Arnaud Road for 20.7km, Lyons Street for 500m, and than an unnamed road for 300m. Brewery Home Reserve: The road to, and parking at this site should only be access in a 2WD vehicle in dry weather conditions. The bank slope is moderate to steep and access to the water is moderate. Camping is available. The turn off is located 14.6km West of Bendigo along the Calder Highway. Take the Calder-Alternative Highway for 800m, followed by the Bendigo-St Arnaud Road for 20.7km, Lyons Street for 1.2km, Newbridge-Bridgewater Road for 4km, then an unnamed road for 200m. 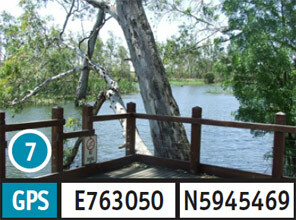 Bridgewater Jetty: The road to, and parking at this site is good and can be accessed in a 2WD vehicle in all weather conditions. 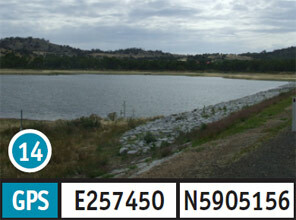 The concrete boat ramp is accessible in a 2WD vehicle in all weather conditions. The bank slope is flat to moderate and access to the water is moderate. Toilet, picnic tables, fireplace/BBQ are available. Camping is permitted. 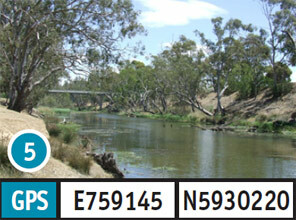 The turn off is located 38km north-west of Bendigo along the Calder Highway. Take Lyndhurst Street for 250m, followed by Broughham Street for 400m. Two other site available in this area - Flourmill Reserve and Railway Reserve. Fantasy Road Boat ramp: The road to, and parking at this site is good and can be accessed in a 2WD vehicle in any weather conditions. 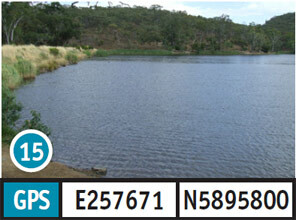 The concrete boat ramp is accessible in a 2WD vehicle in any weather condition. The bank slope and access to the water is moderate. The turnoff is located 37km north-west of Bendigo along the Calder Highway. 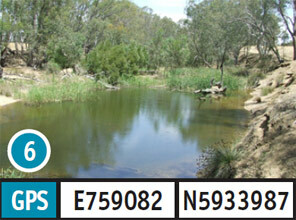 Take the Bridgewater-Maldon Road for 1.4km, followed by an unnamed road for 400m. Elmsford Road: The road to, and parking at this site should only be attempted in a 2WD vehicle in dry weather conditions. The bank slope is steep and the access to the water is moderate. No facilities available. The turnoff is located 6km West of Bendigo along the Calder Highway. Take the Edwards Road for 8.2km, followed by McKenzie Road for 7.2km, Powers Road for 800m, Slatterys Road for 1.8km, Elmsford Road for 11km, and an unnamed road for 300m. Yorkshire Road: The road to, and parking at this site should only be attempted in a 4WD vehicle. The bank slope is flat to moderate and access to the water is moderate. Camping permitted. The turnoff is located 16km West of Bendigo along the Calder Highway. Take Yorkshire road for 18.1km, follow by an unnamed road 300m. McLinden Lane: The road to this site can be accessed in a 2WD vehicle in all weather conditions. Access and parking can only be attempted in 2WD vehicle in dry weather conditions. The bank slope is moderate to steep and access to the water is moderate. No facilities available. The turnoff is located 38km north-west of Bendigo along the Calder Highway. Take Bridgewater-Serpentine Road for 9.2km, followed by McLinden Lane for 1km. Serpentine Bridge: The road to, and parking at this site is good and can be accessed in a 2WD vehicle in all weather conditions. The bank slope and access to the water is moderate. No facilities are available. The turnoff is located 38km north-west of Bendigo along the Calder Highway. 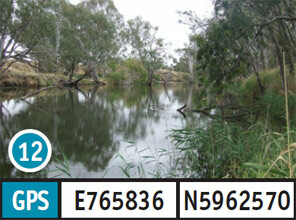 Take the Bridgewater-Serpentine Road for 27.4km, then an unnamed road for 200m. 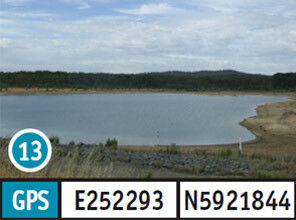 Crusoe Reservoir: The road to, and parking at this site can be accessed in a 2WD vehicle in any conditions. The bank slope is flat and access to the water is moderate. Toilets and picnic tables are available. The turn off is located 8km south of Bendigo along the Calder Highway. Take Furness Street for 1km, followed by Crusoe Road for 600m. 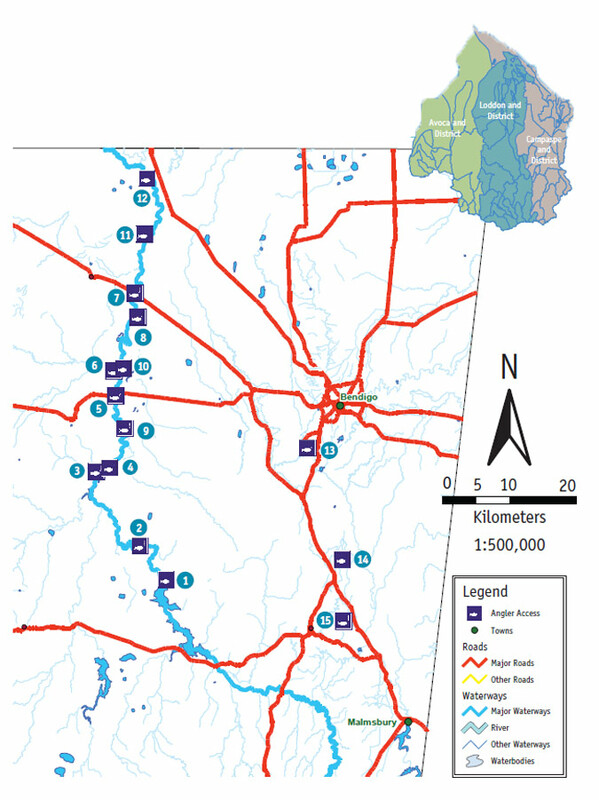 Barkers Creek Reservoir: The road to, and parking at this site can be completed in a 2WD vehicle in any weather conditions. The bank slope is flat and access to the water is moderate. Toilets and picnic tables are available. The turn off is located 25.4km south of Bendigo along the Calder Highway. Take the McIvor road for 2.8km. 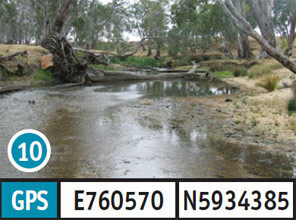 Expedition Pass: The road to, and parking at this site can be completed in a 2WD vehicle in all weather conditions. The bank and access to the water is moderate. The picnic tables are available. The turn off is located 35.6km south of Bendigo along the Calder Highway. Take the Golden Point Road for 1.8km.